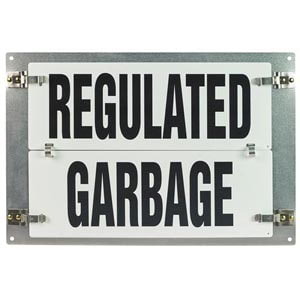 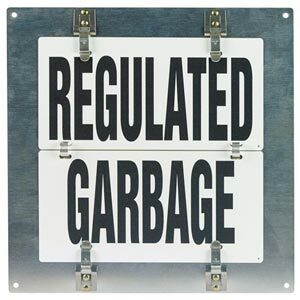 Flip sign meets marking requirements for regulation of certain garbage. 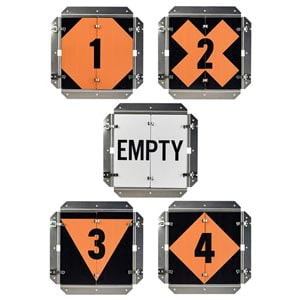 Flip sign meets marking requirements for transport of liquefied petroleum gas. 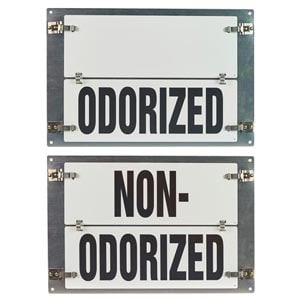 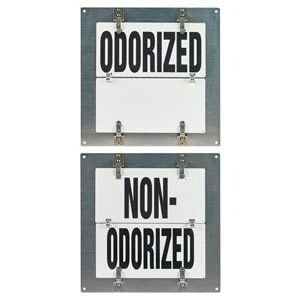 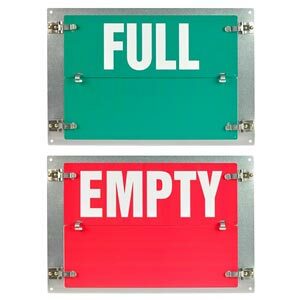 Quickly change cylinder status messaging with this flip sign to suit your needs. 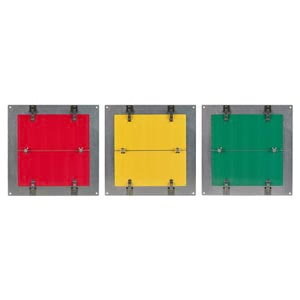 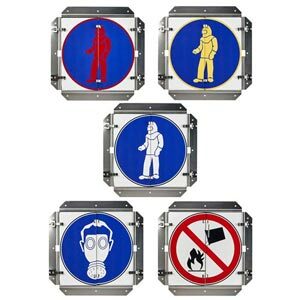 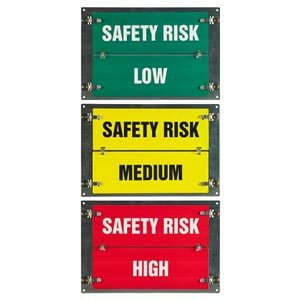 Flip sign designed to communicate workplace safety risk level. 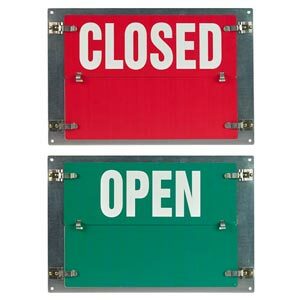 Quickly change messaging with this flip sign to suit your needs. 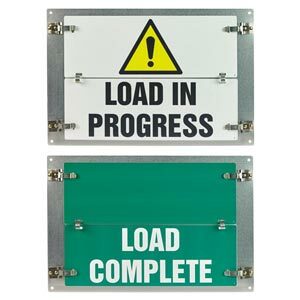 Flip sign designed for use in loading dock areas. 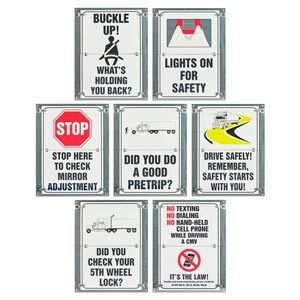 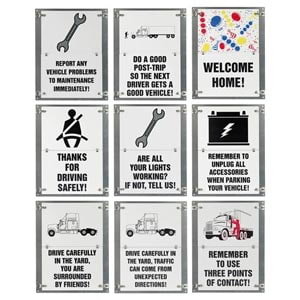 Changeable display flip sign provides driver safety reminders.